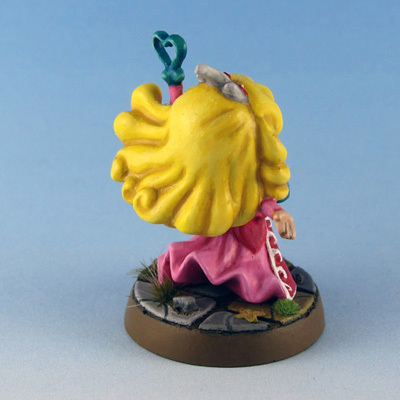 Finally got around to start the heroes from the Cavers of Roxor SDE expansion, starting with Princess Ruby. 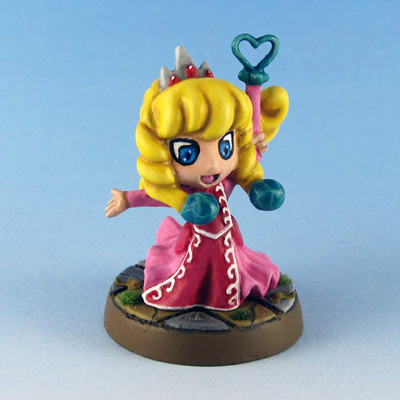 All of the heroes are references to classic Nintendo video game characters, with Princess Ruby being a very obvious reference to Princess Peach from the Mario franchise. 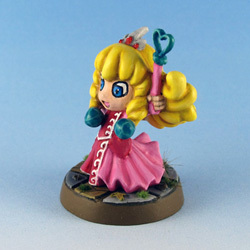 Even the color choice of her wardrobe on the card art is very similar to Princess Peach. 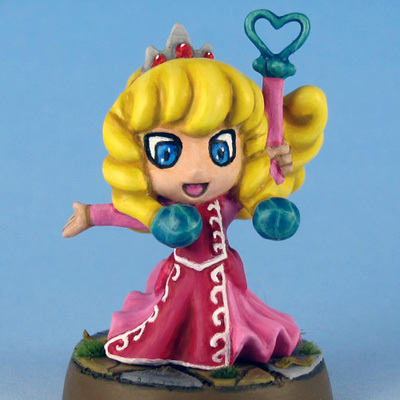 I thought about painting her up in Princess Daisy colors, which I personally prefer over the color choice of Princess Peach. I decided against it and went with Princess Peach because she fits the classic Princess stereotype even better than Princess Daisy. The eldest of five sisters, Princess Ruby, is heiress to the royal throne of Crystalia. Her kindness and wisdom are only matched by her stubbornness. Despite her father’s protests and fears for her safety, she remains determined to travel her realm before she is required to rule it.